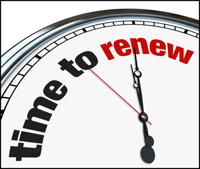 Renewing your leadership is an ongoing process using development tools. You work the process and tools into your schedule combined with a healthy dose of commitment. In our years of working with leaders we have found that systematic leadership development saves time, provides focus, and improves results and long term success rates. Get started now with the proven process and tools used to renew your leadership skills.
. You are probably a leader on multiple levels – yourself; your family, and even perhaps your friends; within your local community; and finally, perhaps within the national or global community. This is important because it provides a perspective that we often overlook. We often make the determination of our leadership need solely upon our work position and forget that success starts with leading our self well first, and then extends outward from there. When we realize this, we can evaluate ourselves with the entire picture of our circle of influence in mind to determine areas we need growth. 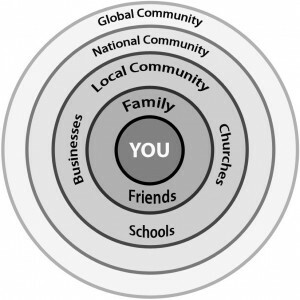 The Leadership Circle shows how leadership starts with you and the extended areas you touch that require leadership skill. Identify your strengths and weaknesses. We often have a general idea of our strengths and weaknesses but unless we get specific, we have difficulty growing in areas we need improvement. Likewise, we don’t tap into our strengths and use them to our advantage if we only think of them generically. The solution is to g et specific! When you have specific information on what you need to improve, you can then identify specific actions to improve, thus saving you valuable time. 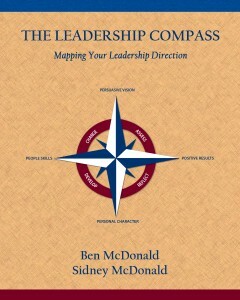 We recommend that you begin with The Leadership Compass: Mapping Your Leadership Direction. This book explains what successful leadership behavior looks like, provides you with a self-assessment tool, and then goes further by providing recommendations and resources to further improve based on your specific needs. 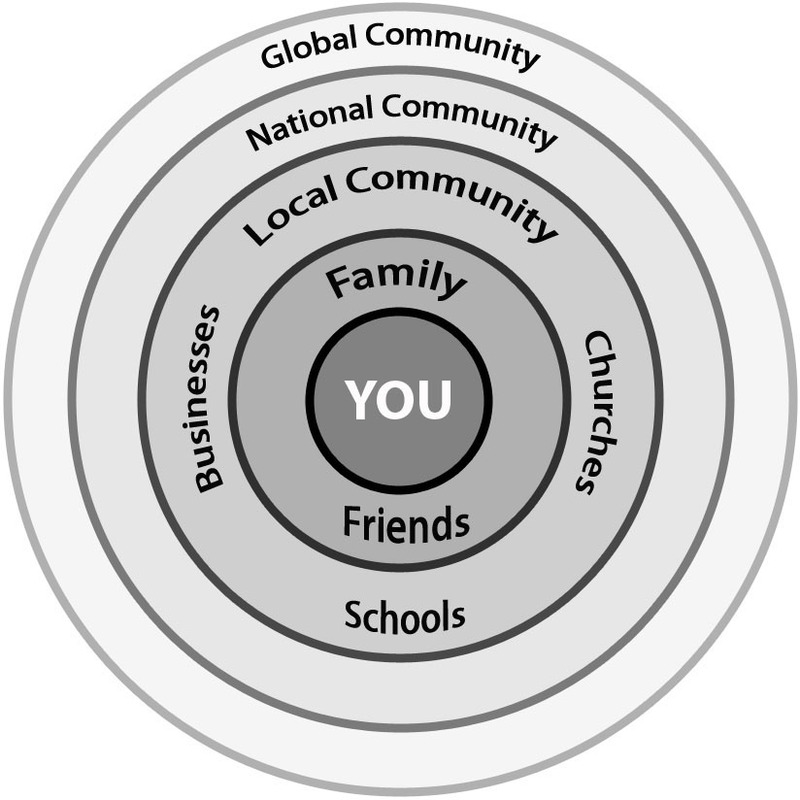 Never again do you need to flounder with the question of “What do I need to do to become a better leader?” The Leadership Compass provides you guidance and is a tool which allows you to be in control of your growth in the areas most important to your personal and professional goals within your leadership circle. Be committed to change. If you are serious about being a successful leader starting with yourself and in the other areas you influence and lead, then make a commitment. 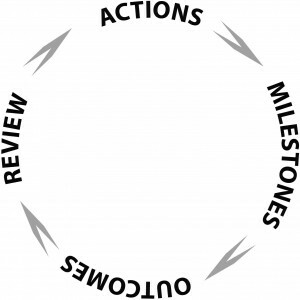 This means taking action specific to your needs; identifying milestone successes you want to achieve while working toward specific outcomes that lead to permanent success; and finally, reviewing again where you may want to further grow in the future. Commitment to grow as a leader means you are serious about being the best you can for yourself and others around you that depend on you. We are all growing and changing. 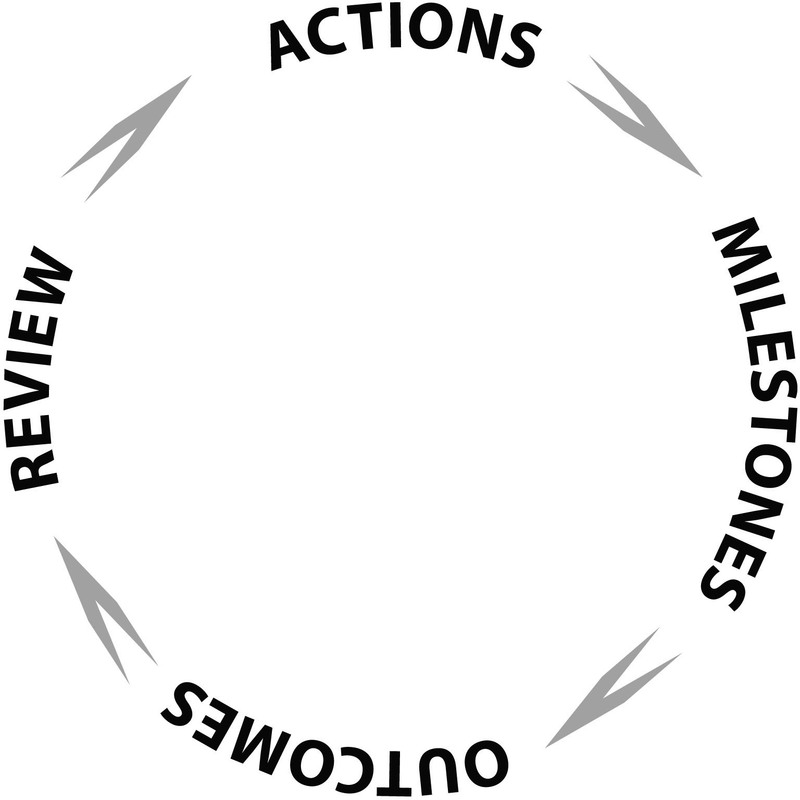 Making a commitment to improve is easiest if we have a plan to follow that is done incrementally and includes specific actions where leadership improvement is most needed. You may already be familiar with leadership development plans but if not, we include a detailed plan and instructions, including an example in The Leadership Compass: Mapping Your Leadership Direction book along with many additional development aids and resources. Be involved with others. Ask for feedback from those leaders you respect; give feedback to others; share what you are doing to improve so others can learn; and even seek out a coach or mentor that can help and encourage your growth if you want an extra boost. This fourth step is often overlooked. The rate of our growth increases when we are actively involved with others because we can learn from other people’s mistakes and successes as well as our own. So roll up your sleeves and make the commitment to renew your leadership! Get improved results for you or your team! If you are in a pinch and need to talk through a situation, try a leadership coach. All sessions are confidential, results-oriented, and affordable. Stay focused on the results you need through development, transitional, or situational coaching approaches based on your needs. Scheduled 60-minute confidential leadership coaching via phone, Skype, or in-person. Situational, transitional, or development focus options depending on your needs. Multi-industry professional leadership coaches with over 1000 hours of mid-level to executive-level coaching experience. Find out more about your coaches.